Darius, this is a great review. It's another great offering from Peeples and from Gatorbone Records. 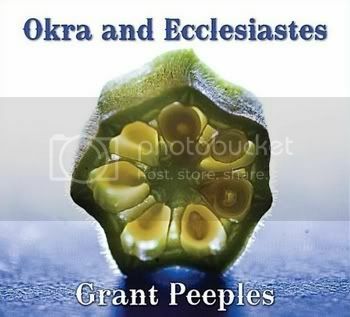 Having heard Grant Peeples at the Gamble Rogers Folk Festival in St. Augustine, I've got 5 copies on order. Thanks again for the always-thoughtful work you do.